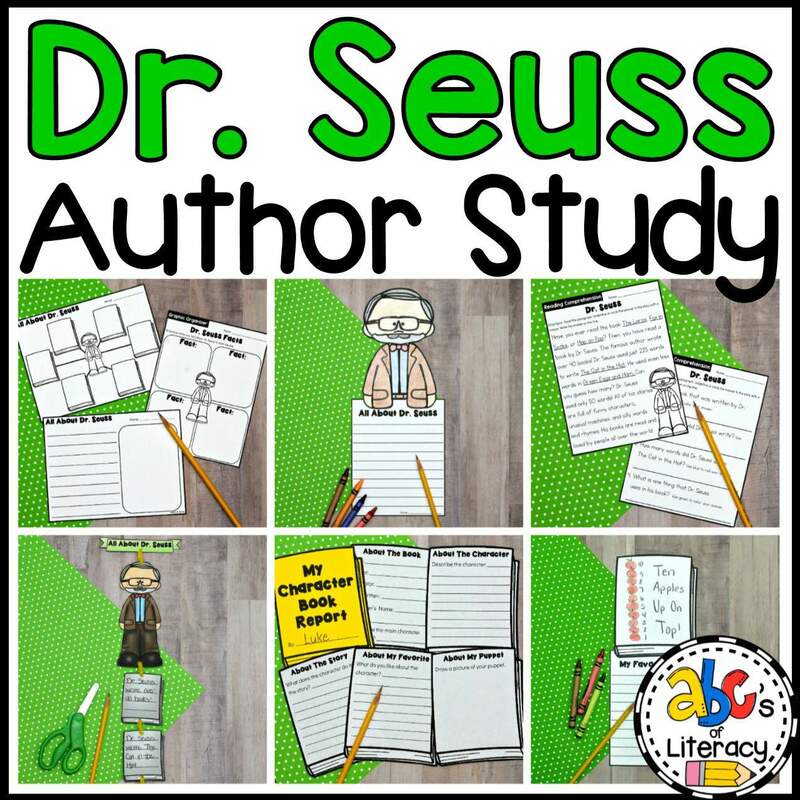 As a part of the Dr. Seuss Author Study, your students can create a puppet that looks like a character in their favorite book by Dr. Seuss. 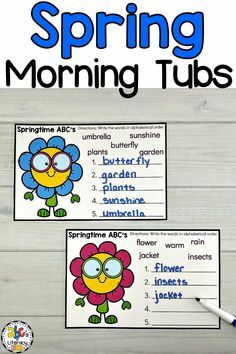 You can send this project home for families to do together or create these book-inspired projects in class. 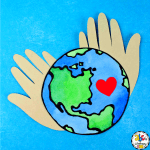 Your students can use a variety of simple materials to make their puppets such as paper bags, craft sticks, and paper. 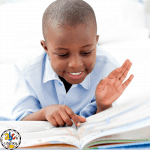 After creating their puppets, your students can complete the book report and present their projects to the class. 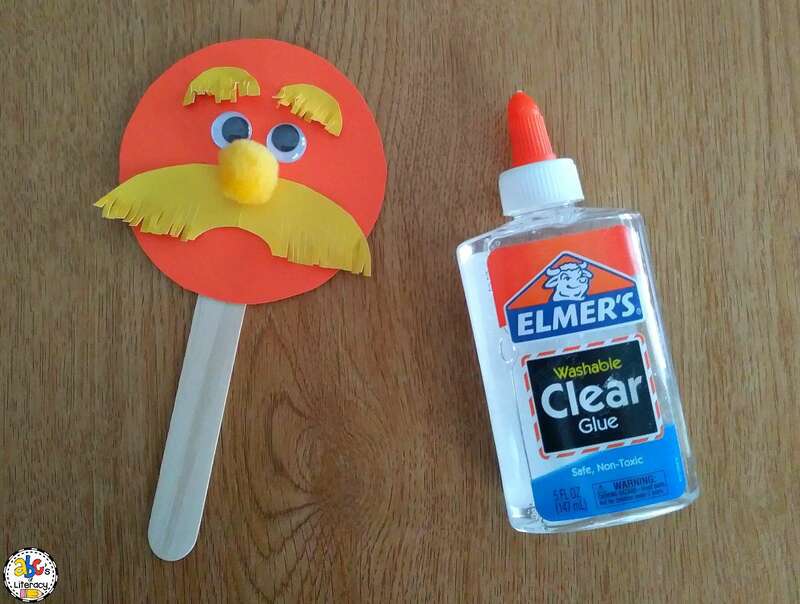 If you are looking for puppet ideas, The Lorax Inspired Puppet Craft is created to look like the main character in the book, The Lorax by Dr. Seuss. The Lorax is a whimsical story with an important message about the dangers of cutting down trees, pollution, the effects of not taking care of the environment. 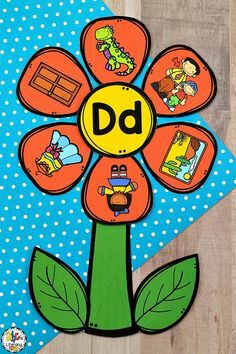 This character puppet craft is easy for your students to make and perfect for the Dr. Seuss Author Study. 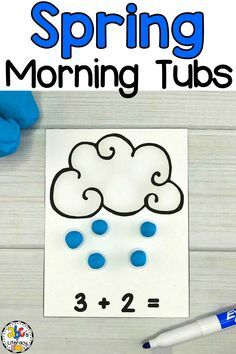 Not only is this book-inspired craft easy to make but it is inexpensive too. 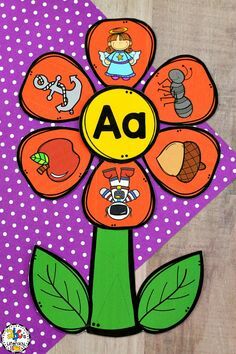 If you don’t have card stock, you can always use construction paper or paint recycled cardboard. 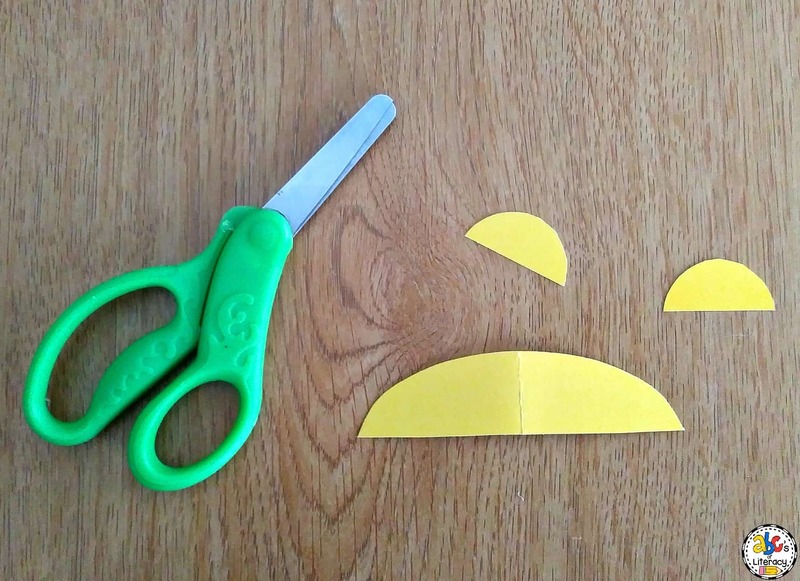 Instead of using the googly eyes and pom pom, you can use construction paper to make the eyes and nose too. 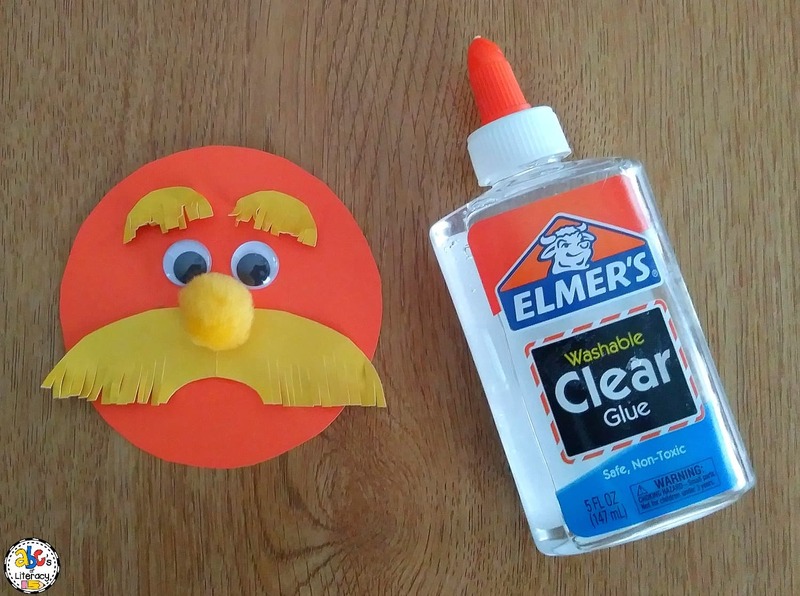 To begin making The Lorax craft, your students will trace a circle on the orange card stock. 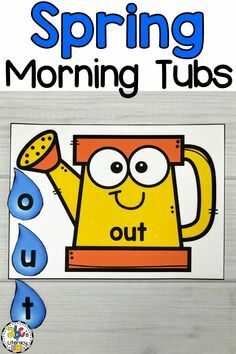 A plastic cup is the perfect size and easy for young children to trace. They will then cut out the circle. 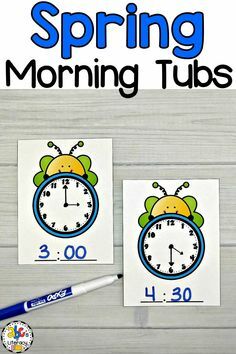 Next, your children will cut a small circle and a large oval out of the yellow card stock. They will then cut the shapes in half. After cutting the shapes in half, they will cut small, thin slits and bend them up and down. The half circle will be the character’s eyebrows and the half oval will be the mustache. 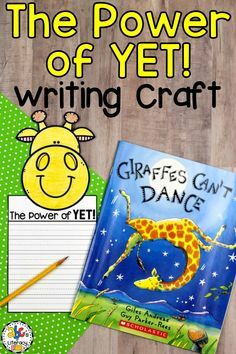 Then, your students will glue the half oval, yellow pom pom, googly eyes, and half circle on the center of the orange circle. 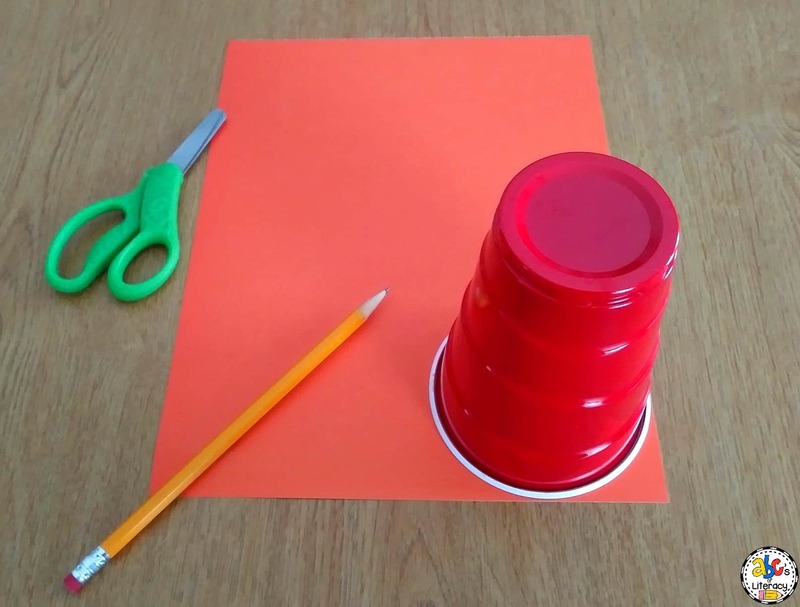 Finally, your children will glue the craft stick to the back of the orange circle. 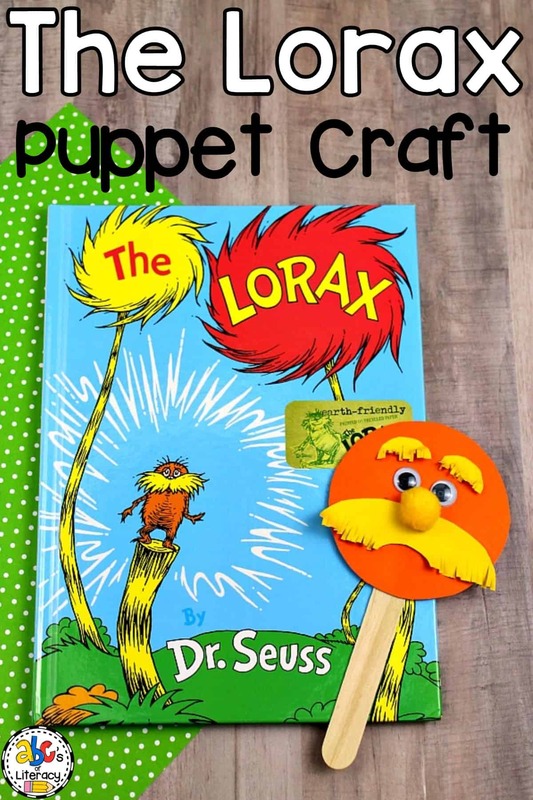 The Lorax Inspired Puppet Craft is a fun and creative craft that your students can create as a part of the Dr. Seuss Author Study and to celebrate reading month. 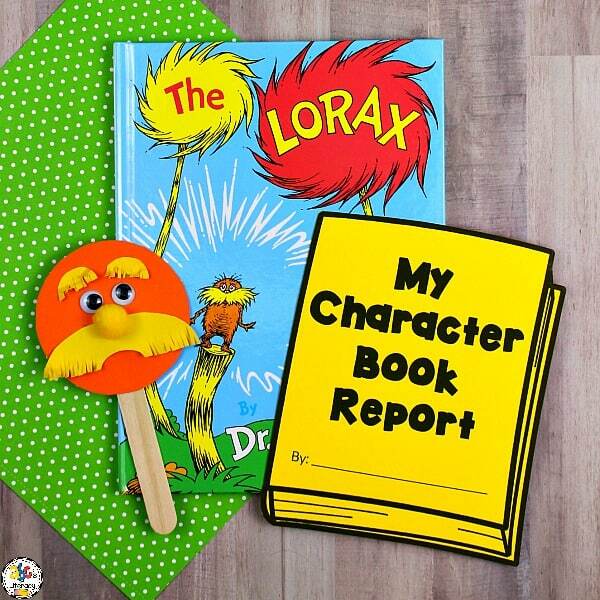 This Dr. Seuss Author Study has a variety of resources that your students can use throughout reading month to learn about the author including this character book report. Click on the picture to learn more!